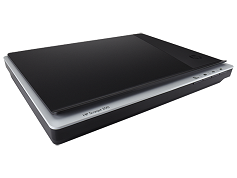 HP FB-G200-Photo Scanner Capture high-quality images and start sharing quickly. Scan at high resolution, edit photos, and save documents to digital files. One-touch scan-to buttons let you start working fast. Place this compact scanner almost anywhere.. High-quality photo and document scanning. Easy-to-use functions and quick setup.